ForsythGemClub.com – Page 3 – Forsyth Gem & Mineral Club – WE LIKE ROCKS! Due to the weather conditions (6-7 inch snow, or more) and likely not a lot of clearing on Thursday, the January 2018 meeting is cancelled. We’ll try to pick things back up again next month. The January 2018 newsletter has been posted on the newsletter page. The meeting will be Thursday, Jan 18, at 7:30 PM. The January presentation will be given by Phil Bradley of the NC geological Survey. Phil has spoken tour club before, and was warmly received. His topic will be, “The Geology of Haw River” (the HAW River is a 110 mile long tributary of the Cape Fear River in Central North Carolina). Thought I would share a little information about local Forsyth County geology that I have been investigating for many years as an archaeology enthusiast. Many prehistoric rock quarries existed in the now Forsyth County and Yadkin County areas that I have studied. 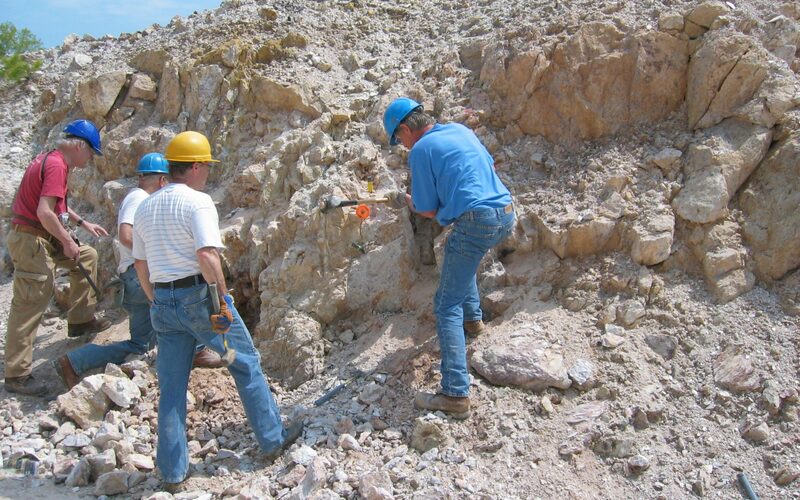 The quarry efforts by early Prehistoric people impacted these geological environments extensively but clues have been left that identify the geological events that supplied rock materials used for stone tools and components. Hope you can identify this as a positive scientific effort in a geo archaeological nature. I have max amounts of data and artifacts on this subject. Ooops – looks like I neglected to get around to uploading the December newsletter. It’s up now. Look for the January issue around Jan 12th or so. The November 2017 newsletter has been posted on the newsletter page. The meeting is Thursday, Nov 16. The October newsletter is up. Meeting is Thursday, Oct 19. The September newsletter is now available on the newsletters page. There will be no program meeting for September. Instead the club will present the annual Gem, Mineral, Fossil, Jewelry, and Bead Show. See the show page for more information. As a reminder, the club does not hold regular/program meetings in August or September. The August meeting is replaced by the annual picnic, and the September meeting is replaced by the club show. The (public version of) the FGMC August newsletter has been uploaded and is available on the Newsletter page.